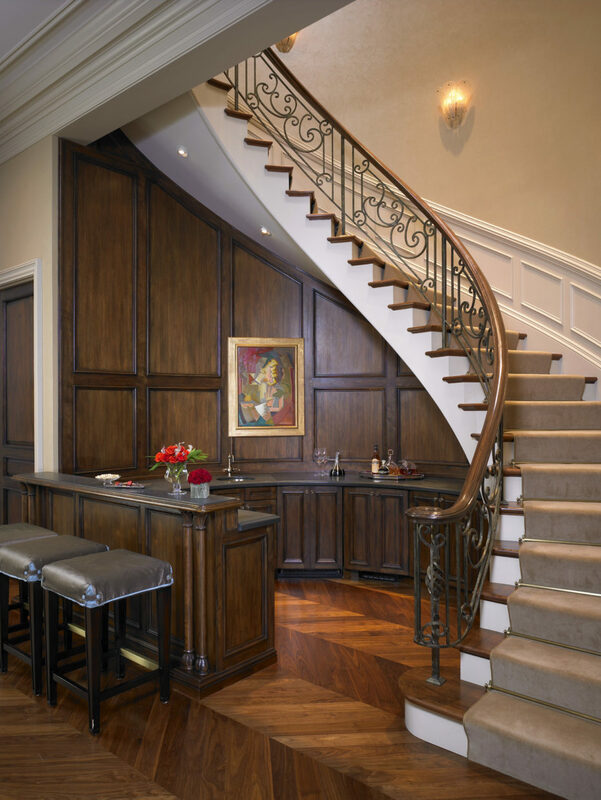 Below are a few of our favorite staircases we have had the pleasure of designing and building. The clients of this 12,000 square foot home in Lincoln Park wanted the home to feel “organic and peaceful, airy and open” and flooded with light. In keeping with those feelings, BGD&C created a flowing stair system with a continuous handrail, which means there are no goosenecks or jarring “jumps” in the rail. This is quite difficult to engineer but the effort is worth the results. The simple but elegant staircase beautifully showcases a colorful stained glass skylight along with a custom hand-blown glass chandelier by Alison Berger. Satisfied former clients called upon BGD&C when it was time to build a more spacious home for their growing family. With the clients’ input, BGD&C designed a clean-lined Neo-classical facade to complement the richly layered interior. 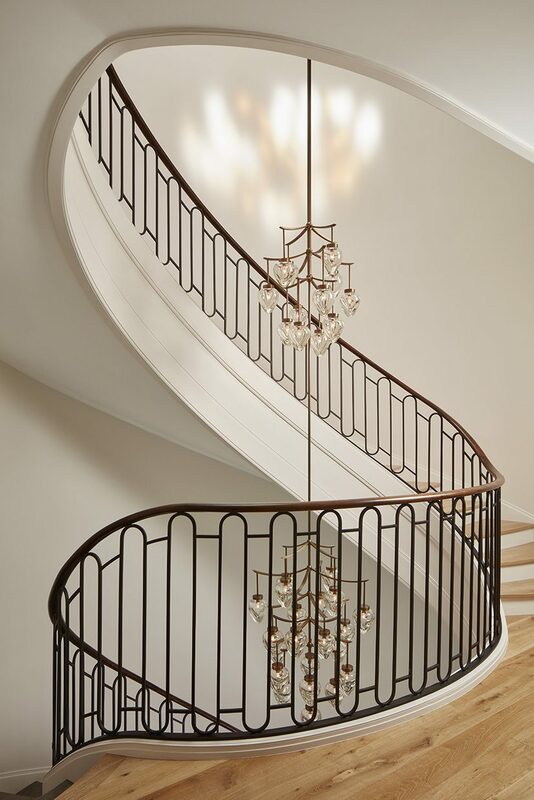 When it came time to design and build the grand staircase, BGD&C worked with interior design firm Suzanne Lovell, Inc. to create a unique and interesting stair featuring boxed treads. The result is a dramatic, gravity-defying “stacked” effect. 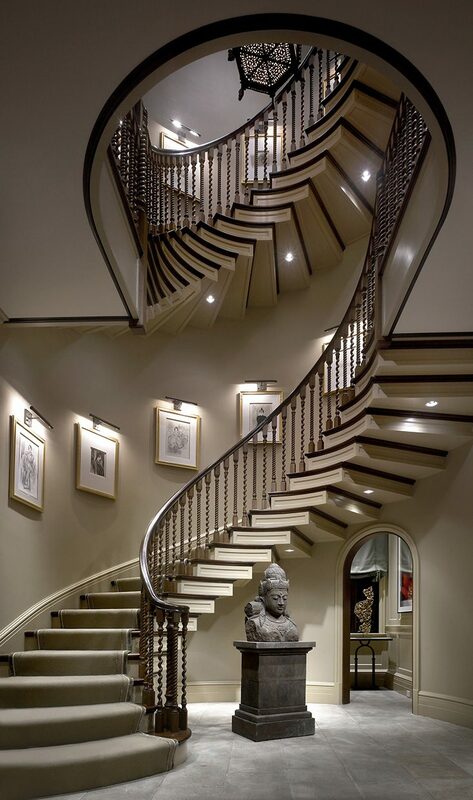 The final result is a dramatic sweeping staircase which adds visual interest to the home. Shortly after BGD&C completed their home, this client seized an opportunity to purchase an additional, adjacent lot. They then called on BGD&C to add an addition with a grand ballroom for large family gatherings. The addition also included a gracious guest suite and study on the second floor and private theater on the lower level. When the client requested a bar be put in the Grand Ballroom, BGD&C saw an opportunity to create a unique and lively room integrated into the often unused space under the stair. 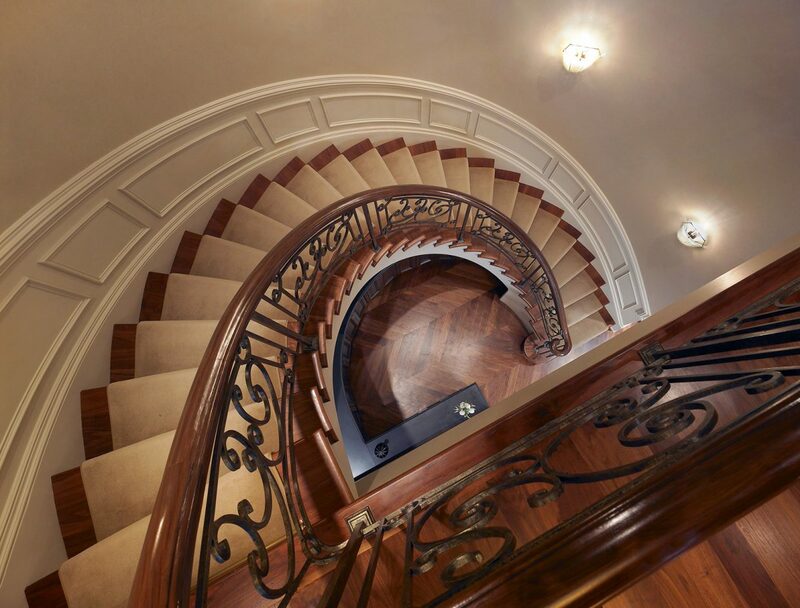 The elegant scroll pattern of the baluster was custom designed and built by BGD&C. These clients engaged BGD&C to create a modern home in which to showcase their contemporary art collection and host family gatherings. While the stone and glass exterior is reminiscent of the 1920’s, the interior was designed with a contemporary flair. Although the grand staircase looks quite simple, it required a high level of craftsmanship to execute the design successfully. This was due to there being no trim to hide the connection between the stair tread and the wall. 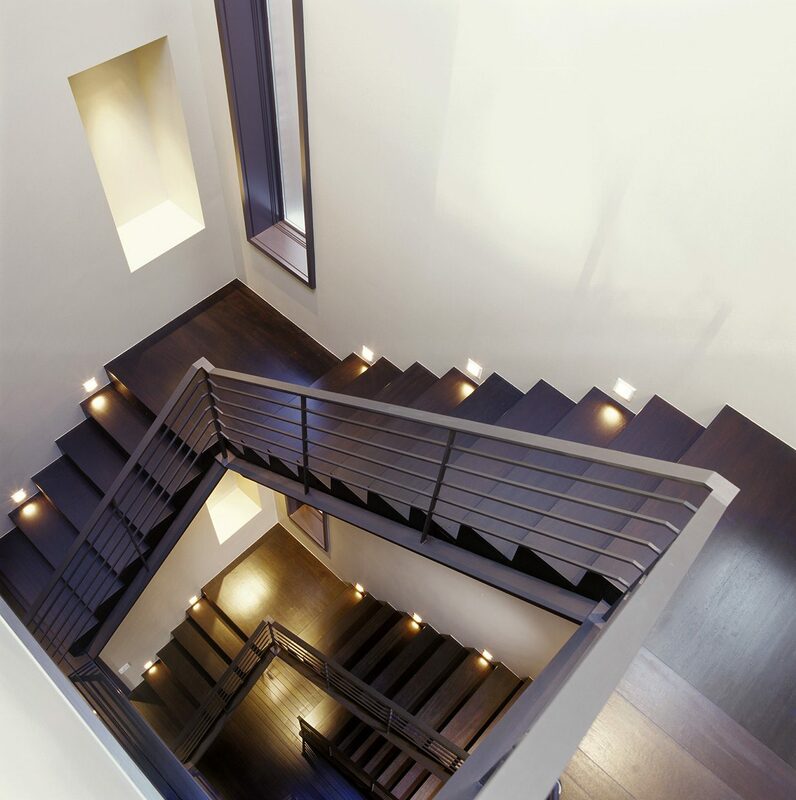 BGD&C was up for the challenge, and the end result was a modern and sophisticated staircase.